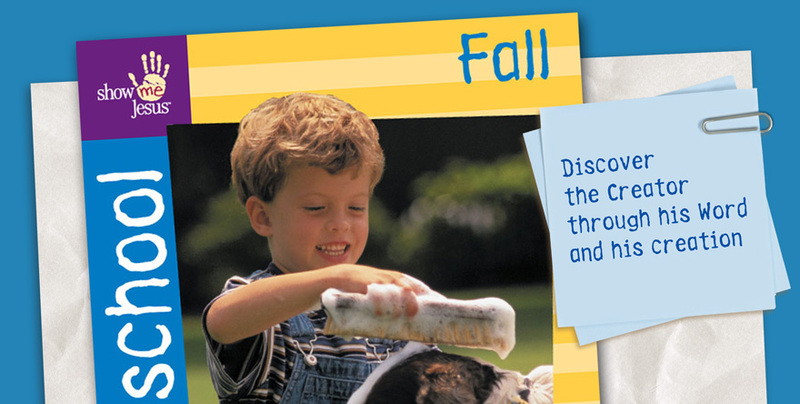 Children will learn about God’s creation, the fall, the promised Savior, and the new heavens and the new earth. In Unit 1, The Creation and God’s Covenant of Life, children will learn that God created the heavens and the earth when there was nothing. God called all things into being with the power of his word. He created man and woman in his image to enjoy fellowship with him, and he gave them the privilege of glorifying God by loving and obeying him. The children will also learn that having completed his creation on the sixth day, God rested on the seventh day. They will be led to thank God for the Christian Sabbath as a day set apart by God for worship, rest and doing good to others. Preschoolers will be taught that after the creation, God made a sacred covenant with man: God promised life to Adam on the condition that he obey God perfectly, and he threatened to punish Adam with death if he disobeyed God. In Unit 2, The Fall and God’s Covenant of Grace, children learn that Adam and Eve disobeyed God, and because they sinned, we are all sinners. However, the promise of a Savior who would suffer and die in the place of sinners was fulfilled in Jesus, God’s Son. He came to earth and died on the cross to pay for the sins of his people. Finally, the children learn of God’s gracious plan to one day restore his people and his creation to himself, with Jesus ruling as King. From start to finish, the children learn that the Lord our Creator is gracious and merciful to his covenant people—forgiving them, saving them, and keeping them. With God’s blessing, the child who participates in these lessons will begin to develop a biblical self-image. He or she will begin to know: I am a child created in God’s image. My purpose is to glorify my Creator.